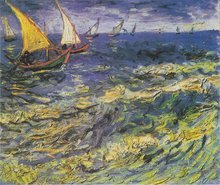 The seascape painting - “Fishing Boats on the Beach at Saintes-Maries” is result of Van Gogh’s long time wish to create a seaside painting with a lot of sky, sea & sand. 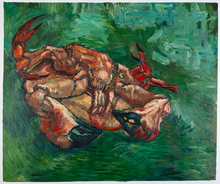 Our artists have hand-painted almost all the masterpieces listed on our website. 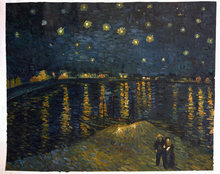 They have studied the style of Van Gogh thoroughly and followed his techniques to the tee while reproducing his paintings. 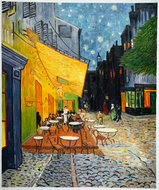 This painting dates back to the period when Van Gogh was residing in Arles. In June 1888, he made a trip to Saintes-Maries-de-la-Mer, which was back then a small seaside village. The main objective of this week-long trip was to help him recover from his health issues. During his stay in the village, Van Gogh created many seaside drawings as well as painting. As per his letter to his brother Theo, written on 4th June 1888, his works included a view of the village, two marines and a few drawings that he covered in three canvases that he had bought. Six years before Van Gogh painted the “Fishing Boats on the Beach at Saintes-Maries,” he had expressed his wish to paint such a painting with a lot of sea, sand and sky. As per his letter he would watch the boats every morning when he visited the beach for as long as he stayed in Saintes-Maries. He noticed that the boats left to the sea very early in the morning. The day he made this painting he left to the beach very early to catch the boats before they left. He only had enough time to draw the boats before they hastened out. 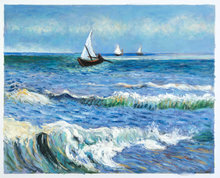 He painted it out later on a size 30 canvas included a lot more portions of sea and sky towards the right of the canvas.